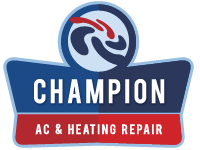 https://championhvac.ca/wp-content/uploads/2017/03/champ-01.png 0 0 miasoft https://championhvac.ca/wp-content/uploads/2017/03/champ-01.png miasoft2017-10-20 06:32:302017-10-06 06:35:58How Does Your Home Lose Heat? https://championhvac.ca/wp-content/uploads/2017/03/champ-01.png 0 0 miasoft https://championhvac.ca/wp-content/uploads/2017/03/champ-01.png miasoft2017-10-10 06:20:102017-10-06 06:24:21Why Is Freon Used In AC Units? Why Is Your Air Conditioner Producing Water? https://championhvac.ca/wp-content/uploads/2017/03/champ-01.png 0 0 miasoft https://championhvac.ca/wp-content/uploads/2017/03/champ-01.png miasoft2017-10-06 06:16:202017-10-06 06:16:20Why Is Your Air Conditioner Producing Water? https://championhvac.ca/wp-content/uploads/2017/03/champ-01.png 0 0 miasoft https://championhvac.ca/wp-content/uploads/2017/03/champ-01.png miasoft2017-09-15 08:49:122017-09-08 08:52:21Why Opt For Professional HVAC Installation?